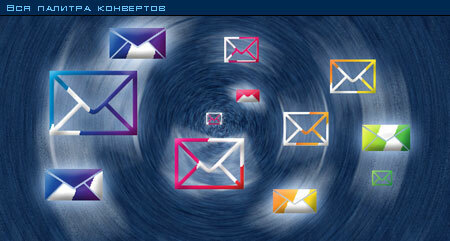 For Direct mail and all about them you will find envelopes of the Finnish and Russian manufacture on this site. Welcome! Now the basic directions of activity of the company "ARMAKS" is sale of envelopes of domestic and import manufacture and service in drawing on them a seal. Branded envelopes, envelopes with the logo, you can buy from us, we specially produce for you. The company delivers as envelopes and packages of the standard sizes, such as C65, C5, B4, C4- white, color, "kraft", widely used in direct advertising dispatch, and exclusive envelopes and packages at the request of the customer. All envelopes may be both with a glutinous layer, and with self-sealed silicone strip. Mail packages from polyethylene will be, indispensable when you send attachments up to 7 kilograms. Packages are made of polypropylene, are indispensable as calendars TRIO packaging, magazines and CDs. Having long-term effective business contacts to factories - manufacturers of Finland and Italy the company has an opportunity to offer competitive prices of production, and constantly extending communications with domestic manufacturers allow to increase assortment, thus satisfying constantly growing needs(requirements) of the market. In a year of the 300-anniversary of our city company " ARMAKS " has noted the small anniversary - 10 years of successful work in the market of Saint Petersburg and Russia. During the work the company has recommended itself as reliable and flexible partner. Commodity circulation of firm is constantly increased, as its advantages - it is reliability, flexibility of the prices, excellent quality of production. In sections of a site you can familiarize with production offered by the company, and also receive the detailed information on special offers. If any information will be insufficiently inform us about it, and we with pleasure shall answer you.